Simply put, mold is a fungus that doesn't need light or photosynthesis to grow and thrive. It does need some form of moisture; you can find mold even in the darkest, dampest of basements or crawlspaces or in an attic with little to no ventilation. Mold spores are everywhere in the air, inside and outside, and become a nuisance to your San Antonio home and your health when the mold spore count is elevated higher inside the home than it is outside. Mold is a destructive force in any home, and if you find it creeping up your drywall or you merely suspect its presence, call AdvantaClean of San Antonio NW and schedule a mold inspection or mold testing appointment today. We'll help you get to the root of the problem and eliminate the presence of mold in your home for good. WHERE DO YOU FIND MOLD GROWTH? HOW DO YOU KNOW IF YOU HAVE MOLD GROWTH? If you see dark spots on your air vent covers, on the ceiling of the bathroom or the walls of the basement, you may have visible mold. Unfortunately, mold isn't always that obvious; it may be someone else that points out the discoloration or fuzzy growth. Some people are told about a mold problem by their exterminator, HVAC repairman or home inspector if their San Antonio home is on the market. Finding out you have visible mold can be a nasty shock, and is always cause for concern. Prompt action is necessary and will save you from the headache that is visible mold. AdvantaClean of San Antonio NW is prepared to offer you mold inspections, and mold testing to find the source and extent of the issue in your home and go over all of your removal options. Mold doesn't always care to make itself apparent, so despite keeping an eye out for it, you may have a mold problem and never see it. For a lot of people, their first warning sign is a smell. It could be musty, moldy or mildewy and may be permeating only one area of the home, or the entire San Antonio house. A mold inspection or mold testing appointment can help you determine where the mold is hiding and allow us to write up a plan of action for mold removal. Whether you think the mold is behind your walls, below your feet or inside the ceiling, AdvantaClean of San Antonio NW is prepared to tackle the situation and make your home mold free. 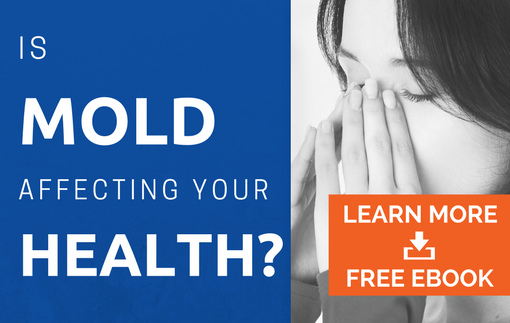 DID YOU KNOW MOLD CAN AFFECT YOUR HEALTH? If you or someone in your household experiences a sudden onset of these allergy-like symptoms, and they are outside of the norm for you, consider scheduling a mold inspection with AdvantaClean of San Antonio NW. Symptoms that stem from mold will also abate when you’re gone from home, and recur when you return. AdvantaClean of San Antonio NW will only send Certified Mold Inspectors (CMI) and Certified Mold Remediators (CMR) out to your property. This certification means we are uniquely capable of understanding the source and extent of your mold problem, and can accurately perform mold testing, mold inspections, and mold remediation. General contractors and handymen may try to convince you they can tackle the mold process themselves, but if they don't hold any mold certification, they could use improper techniques and either fail to eliminate your mold or cause it to grow back. Mold is a serious problem that requires a special skill set, and removal should not be attempted by someone without proper training.